John Sebastian has been entertaining large audiences since the 1960s when he was the leader of the legendary Lovin' Spoonful. He still performs publicly when not providing his talents to a wide variety of movie and television projects. Students who prefer a more casual approach to learning are likely to enjoy Sebastian's "jam-along" teaching style. 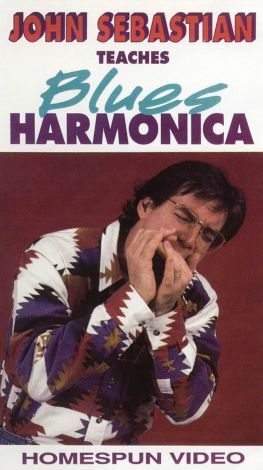 He starts out by showing viewers how to hold the harmonica properly before demonstrating how to create some of the sounds professional players regularly employ. Sebastian demonstrates note-bending, vibrato, "wah-wah" sounds, tonguing, and rhythm playing. He also explains the "straight" scale and the "cross-harp" blues scale.